This special variation of recycled Red Oak Flooring will add that something extra that normal parquet brands can’t match. With its stand-out striping pattern, the rays on each Quartersawn Red Oak plank provide a signature look that fits today’s contemporary, or modern home perfectly. Order your free sample of eco-friendly Quartersawn Red Oak Staybull Flooring® today. 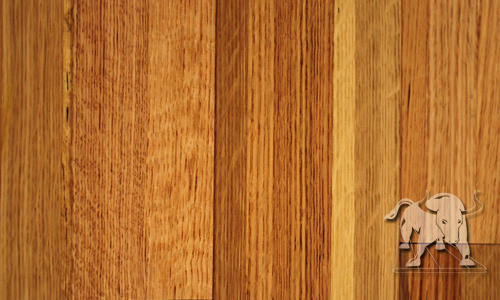 Quartersawn Red Oak has a unique stripe pattern that is referred to as “tiger rays” or “butterflies”. Heartwood color runs from light tan to pink with a reddish tinge. Sapwood is white to light brown. Straight grained with a coarse texture. Find out more about hardwood flooring maintenance and care tips.